This has been a long time coming. Writing my fourth novel has taught me that no experience is completely repeatable, and although I have long understood that every novelist has her/his own process, my own process is a fluid one, too. Ever since my last novel, Out of the Ruins, was published in 2014, I have been deeply involved in the development and growth of my educational NGO, Writing Through. When I decided to found that organisation, the question on everyone’s mind, especially my own, was how this change in focus would affect my writing. Would I still be able to find the time and the head space to write my novels and poetry? Would I even want to? It became clear very early on that I did still want to write, and that I still had a story to tell about the characters who had come to life in Out of the Ruins and the previously published, A Clash of Innocents. 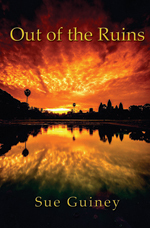 Those two novels are now the first two in my trilogy of Cambodian novels. But what about the third? Would I ever find time to write it? I’m happy to say that I have. But the process has been different. Previously, my novels have been written in huge, sweeping bursts of energy and time. In the past, I have used the year after one book was published to percolate, dream and then research the next book. After that year of ‘pre-writing’, I would sit down and write the first draft in about 4 – 6 months. That draft was always short. I tend to get impatient for the big scenes and rush to write them. Then I read it all aloud and find the holes. It has usually taken just a couple of months to find those holes and plug them. Then, I would send the proto-book onto a trusted reader for more comments, more edits based on those comments, until finally the manuscript was on its way to the publisher. That process has usually taken about 2 1/2 years. 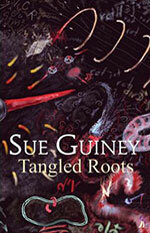 My first novel, Tangled Roots, was published in 2008. 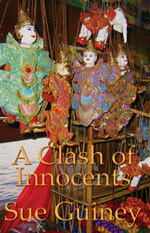 A Clash of Innocents came out in September, 2010; Out of the Ruins, in January 2014 but in between, there were also two poetry collections. But now here it is, June 2017, three and a half years after the last publication. For the first time ever, I really did feel the pressure of getting the book written, although, of course, the pressure came solely from me. If anything, my publisher urged me to relax about it. But still…So although the process resembled what has happened before — especially with writing ‘short’ and my impatience to get to the juicy parts — it has all been spread out over a much longer time. Finally, the first draft is done. Now onto the next draft and the plugging of holes. I’m interested to see, though, what affect the lengthening of the process has had on the story telling. Maybe the passage of time has given me deeper insights. Maybe writing in fits and starts over several years has created trouble in the pacing. Maybe it’s all the same. But I can tell you one thing. 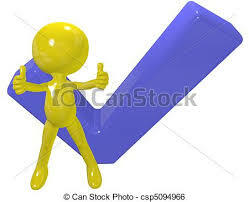 Finishing the first draft feels just as good, and just as exciting, as it ever has.